BONTOC, Mountain Province – It’s all systems go for the 15th edition of the province’s prestigious Lang-ay festival and its 52nde founding anniversary that will run from April 1-7, 2019. Gov. Bonifacio C. Lacwasan, Jr. said that the theme of this year’s twin celebrations is “Nurturing Cultural Traditions Trough Indigenous Peoples Education’ which will highlight efforts being done by concerned government agencies and the local government in espousing for the sustainable preservation and protection of the rich culture and traditions of the IPs by starting with today’s youth. The twin celebrations will kick off on Monday, April 1, 2019 with a morning worship which will be followed by a civic parade that will be followed by the traditional opening program, Tekyab and Salibongbong, opening of the agro-industrial trade fair, opening of the Lang-ay by the Street I, battle of the bands and the Lang-ay night with concert featuring Fr. Marcs. Cooperatives will have their part in the twin celebration with the Cooperative Solidarity Day slated on April 3, 2019. On April 3-4, 2019, there will be a skills services demonstration, competency assessment and beauty care and massage which will be followed by the Red Cross variety show and raffle bonanza and technical vocational education and training, Mr. and Miss mountain Province coronation night. On April 4-6, 2019, there will be a 3-day surgical mission that will spearheaded by the local government which will be followed by the usual mobile passportting, Mountain Province history and culture quiz bee, Lan-ay by the Street II and the usual Governor’s Night processing on April 5, 2019. The much awaited chanting and streetdancing competition will be done on April 6, 2019 followed by the traditional cultural showdown, Lang-ay by the Eyeb, indigenous games, Gangsa Night, extemporaneous speech contest and MP ultra-marathon trail adventure. During the Mountain Province foundation program, the traditional anniversary program will be conducted which will be followed by the Montanosa Ride for a Case and first Montanosa Enduro Challenge. Director-General Isidro La Peña of the Technical Education and Skills Development Authority (TESDA) will serve as the keynote speaker during the cultural showdown while regional director Janet Armas of the Cordillera office of the Department of Social Welfare and Development (DSWD_CAR) will serve as the guest speaker. 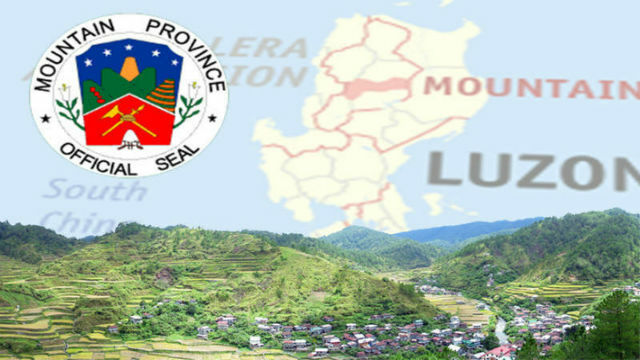 On April 7, 2019, Assistant Secretary Cheryl Daytec-Yangot, who hails from Besao, Mountain Province, will serve as the guest of honor and speaker during the province’s foundation anniversary program while Kabayan Party-list Rep. Ron Salo will serve as the keynote speaker considering the enormous assistance that the party-list group has infused for the various basic services in the province.